The larger overall audience is a huge plus for any speaker. Though, for many authors and other solo speakers, a large live audience is what ultimately pays the bills. Below, we will look at a few different ways to turn that online following into an increase in live attendance for a holiday event. Odds are that, as a speaker on the live circuit, you have developed some sort of shtick to enable your brand of speaking to stand out amongst the crowd. You should extend this original theme to a particular live event, like with a holiday theme. For instance, if you want to host an event for Halloween or for Christmas, your advertising should reflect the event. Once a theme is developed, it should be advertised consistently across multiple channels. Your main website, Facebook, Twitter, YouTube – if you have a site, it should display the same consistent message. Selecting a theme and lining your proverbial ducks up is the first step. The second step is to begin figuring out how to engage with your social media audience in hopes of attracting members to a live event. Social media marketing is all about engaging, and this requires much more than advertising to people. You must participate in the social experience. Search to find members who Like and follow other live events, and target them directly. 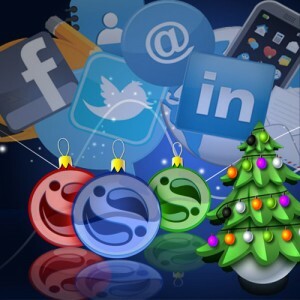 The idea here is to engage back and forth with your audience, creating a lot of buzz about your live holiday event. What’s different about this type of advertising and engaging is that you want to add in the extra incentive. You’re not only requiring simple actions such as Liking or sharing a post. You’re attempting to get real people to show up at a live holiday event. This may require some incentive. Creating a cool app or a game to induce more signups via your social sites is a great idea, but you need to go beyond that point with your incentives. The options here are virtually limitless. You want to add some incentive to your themed holiday event, and you want to make it clear in your advertising that these incentives are available. Using Facebook for business and advertising purposes gives you a lot of opportunity to spread the word about your live event, but you still have to ensure that the event will entertain people. If you’re only offering a boring lecture, any number of people you draw this time will greatly decrease next time. The idea behind this is to create an atmosphere that’s fun for you and for your audience. If you’re interested in the speed of debris from dust clouds surrounding supermassive black holes in distant galaxies, then maybe you wouldn’t mind sitting there silently as someone like Neil deGrasse Tyson speaks for hours. But, let’s be honest. Just sitting during a lecture is rather boring, even if you’re entertained by the material. What you’re trying to do is create a fun, interactive, themed event that attracts people who showed up to have fun in an interactive environment. Luring people to your brand via social media and ultimately having them show up at your event takes a lot of incentives offered by you. If you can create a fun holiday event and spread the word, the people will come.